EAST ANGLIA, United Kingdom — Take a charity founded by Led Zeppelin guitarist Jimmy Page, the expanding Festinho 2009 weekend fund-raising celebration of Brazilian music to support it, and sponsorship from Harman Professional, and you have a recipe for a highly successful event. The festival was established five years ago by Rupert Barksfield and Lynda Colborne —as a garden party in a country home attended by 400 people. Since then it has changed its name from the Mini Chill (allied to the larger and long-established Big Chill Festival), and also its site to Kentwell Hall in East Anglia. As a result, this year they were able to cap their attendance at 3,000 (with acts like Jon Kennedy, The Cuban Bros and Penguin Café Orchestra headlining, along with James Yuill and Tom Eno). In its quest to provide aid for Brazil’s street children, Barksfield says the Festinho management team hse been indebted to Harman for its continued support on an increasing basis. After running an early Soundcraft Vi6™ (along with JBL PA and monitor rig) three years ago, this time around monitor engineer Pete Fletcher also had a Soundcraft Vi4™, while his Studiocare colleague, John Holmes, handled most of the FOH mixes on the Soundcraft Vi6. But Soundcraft was not the only brand to grace the main stage. Also helping the event to swell the funds of the ABC Trust (Action for Brazil’s Children) were again JBL, which provided a VRX system (VRX932LA’s and SRX718S subs) and SRX712M stage monitors, along with Crown, who powered the system with I-Tech IT-6000 amplifiers. The inventory also included classic AKG C414 condenser mics and BSS AR-133 active DI boxes — with all equipment supplied by Studiocare Professional Audio. Now operating as the event’s Technical Production Manager, Rupert Barksfield (a full time production manager by day) has served his time as a FOH sound engineer and is well aware of the attributes of the Soundcraft Vi6. “We are very proud of the support we have received from Soundcraft in different capacities over the last three years; they have gone to the ends of the earth to help us from the very beginning,” he says. To illustrate how far production values have evolved in five years, acts were able to perform under the main stage Wango's purple canopy, while the event’s second stage (The Harvest Stage) was set up by Big Chill Festival founder, Pete Lawrence — illustrating the bridge between Festinho and the Big Chill’s community. Reflecting on a thoroughly satisfying weekend, Rupert Barksfield commented, “We have always been able to reply on 100% support from Harman Pro. We were privileged to have the full VRX system and SRX monitors this year, while also at the stage end we were able to use a Soundcraft Vi4 on monitors for the first time — I had not considered a digital desk for monitors previously. Kix Brooks and Ronnie Dunn are two of country music’s most successful artists and together, Brooks & Dunn have recorded 23 # 1 hits, sold over 30 million records and have won more than 80 major industry awards. Brooks & Dunn are currently on tour celebrating their 10th studio album titled, “Cowboy Town” and their monitor engineer, Kurt Springer, has selected a complete AKG wireless system that encompasses over 30 AKG products for the tour. Brooks & Dunn have relied on AKG products for a number of years and are currently using a diverse collection of wireless products, including an AKG WMS4500 wireless system, AKG 520 headset microphone, AKG D7 handheld microphone, AKG IVM4 in-ear monitoring system as well as the vintage AKG C12 tube microphone. The selection of over 30 AKG products for Brooks & Dunn was an easy decision for Springer as the headsets were a natural fit for the famous country duo. The ergonomic design of the WMS4500 and the outstanding sonic quality of the D7 are a perfect combination for showcasing the talents of Kix Brooks and Ronnie Dunn. 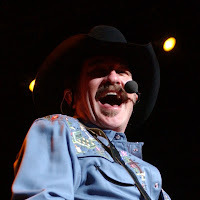 “Brooks & Dunn are loyal AKG users and have used vintage C12 microphones for vocal recordings in the past, so when they needed headset mics, the first question was ‘Does AKG make a headset mic?” commented Springer. “Regarding the selection of the WMS4500, the engineers selected the AKG system for its ergonomic design and durable construction. We use the system extensively and the mute switch is very useful for us with guitar changes, sharing a pack for multiple instruments and the ability to mute and un-mute tech mics. “We still have a 10 year old system of WMS 4000’s for backline that simply won’t quit,” continued Springer. “The AKG WMS 4500 wireless systems has three aspects that separate it from the rest: legendary sonic quality, bulletproof durability and state-of-the-art transmission quality,” Springer concludes. In addition to Brooks & Dunn, Springer has a versatile and extensive engineering resume that includes world renowned artists such as Eric Clapton, Aerosmith, The Rolling Stones and Guns n’ Roses. 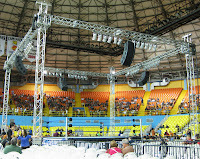 Showcasing the power and light weight of JBL VRX Constant Curvature line array speakers, Ricky’s Audio Corporation provided the sound equipment and services for World Wrestling Entertainment (WWE) professional wrestling events in Arecibo and Ponce, Puerto Rico on September 5 and 6, 2009, respectively. The audio system for the events included powered VRX line arrays and dbx signal processing for system control. Both WWE events featured matches with such WWE stars as the Undertaker, current WWE World Heavyweight Champion CM Punk, and WWE Unified Tag Team Champions Chris Jericho and Big Show. The September 5 event in Arecibo took place at the Manuel Petaca Iguina Coliseum, while the September 6 event in Ponce was held in the Juan Pachin Vicens Auditorium. Both venues have seating capacities of more than 12,000 people. The sound reinforcement system included a total of 24 JBL VRX932LAP Crown-powered Constant Curvature line array speakers, each equipped with a DCP-2 power module featuring JBL’s exclusive Dual Bridged Technology™, with each amplifier channel linked to one voice coil of the Differential Drive loudspeaker. The system was arranged in a 360-degree format, with four arrays of six rigged on each side of the ring. An additional 12 JBL VRX918SP powered portable subwoofers were located under the ring and used to extend the system’s low frequency performance. A dbx 4800 Loudspeaker Management System was used to handle array zoning and equalization functions. World-renowned hip-hop artist Jay-Z brings new flavor to his current tour by deploying the AKG WMS4500 wireless microphone system and the AKG C5900 vocal microphone for reliable and accurate audio transmission on stage. Production Manager/FOH Engineer Bryon Tate selected the AKG wireless system for its ability to capture and accurately deliver Jay-Z’s lyrics on stage. The WMS4500 provides a wide-range of versatility in many areas such as frequency selection and diversity, efficient set-up and delivers outstanding sonic quality. “I find that my show day setups are easily adjusted inside any venue size and complexity, from the small house of blues show to heavily populated frequency areas such as large scale television events,” Tate said. The wireless microphone system offers improved audio capabilities versatile enough to handle multiple users and multi-channel applications simultaneously. The WMS4500 is available in two new frequency bands: Band 7 and Band 8, providing more options for multi-channel systems. The WMS4500 can be blended into a Harman HiQnet™ system with the optional HUB 4000 Q. With the PC control software System Architect™ the WMS4500 can be configured, controlled and monitored remotely from a PC. “As FOH engineer, I find that The C5900 produces a natural and smooth vocal sound and keeps its pattern and characteristics in tact no matter the hand hold technique being used,” Tate continued. Dortmund-based production company, B+B Veranstaltungstechnik, have added two new Soundcraft Vi4™ consoles to its inventory of digital mixing desks. The investment follows the company’s policy for regular inventory upgrade, and although a multi-brand operation, the company chose the Soundcraft digital platform based on the impressive features-to-price ratio. While these are the first Vi4’s to be added to appear in B+B’s rental fleet, the company’s Sebastian Müller-Eckhard has previously designed installation systems based around the Vi4 (at the local Konzerthaus), and a Vi6 in FZW, a 1,500-person capacity live venue. “The Vi4 is all about the sound,” he says. “It’s one of the best sounding desks on the market and you don’t need any external hardware because everything is already in the desk — in fact the internal dynamics and effects are perfect. “As for the GUI, we recently put a Vi4 out to a local festival and the headline band’s engineer had never worked on a Vi console previously. So I prepared a show file, sent him a link to the Virtual VI software and he was able to get an impression of how it worked straight away. As for the new V3.0 software, he says the automation has been hugely improved, making the Vi a very useful tool for theatrical productions, and he is now eagerly anticipating the next development … with fade-time possibilities. In any case B+B themselves will shortly upgrade their new Soundcraft consoles — adding more DSP to give them 72-channel capabilities. In an installation that advances the curriculum for one of the nation’s best performing arts schools, AKG’s wireless microphones were selected for their flexibility and dependability at the University of the Arts. A/V and Acoustics consulting firm Metropolitan Acoustics incorporated the latest in audio equipment from AKG into the system design for Terra Hall’s Ellen and Ronald Caplan Center for the Performing Arts. The system will become the focus of two side-by-side theaters that cater to students learning everything from performance arts to multimedia presentations. The University of the Arts is located on Broad Street in Philadelphia, which is currently one of the most difficult cities for wireless installations in the nation due to the abundance of wireless equipment being used in the area. In addition to this challenge, the University had a goal of linking the side-by-side theaters with audio, video, data, fiber and the wireless systems so that the equipment could be shared or work independently from one another. They decided on an array of AKG equipment that included: four AKG C5 Handheld Condenser microphones, four AKG D5 General Purpose Vocal microphones, four C1000S and four C518M instrument Condensers, ten wireless microphone systems that included a variety of handheld and body pack transmitters and much more. Renovations on the Ellen and Ronald Caplan Center for the Performing Arts began three years ago. Initially conceived of as a basic renovation, the project expanded into the creation of a state of the art performance facility consisting of two side-by-side theatres; one is primarily designed and used for music recitals and the other for theatrical performances. In addition to the AKG components, the theater also utilizes two Soundcraft Vi4 Digital Consoles, two BSS Soundweb Blu-160s and one Blu-120 audio processor. Because of his past experience with Harman products, Shawhan says that he knew the reliability and flexibility of the Harman components would be required to successfully integrate a project as technically demanding as this one. “With the scope of the project, we knew we had to do a lot of coordinating,” Shawhan continued. “There is ill d we tithin a tifgt space.an abundance of lighting, sound and video equipment plus acoustical reflectors and adjustable acoustic curtains all within a tight space. Having some flexibility with the equipment locations and the ability to modify setting and programming as the installation progressed was key to having a successful installation. Metropolitan Acoustics, LLC is an acoustical consulting firm based in Philadelphia, Pennsylvania. They provide services in architectural acoustics, noise control, and sound and A/V system design. Metropolitan Acoustics was founded in 1990 by the present owner, Felicia Doggett. Since inception, the company has consulted on over 1,400 projects and has expanded to seven employees. Hitachi Home Electronics (America), Inc., Business Group, is introducing the CP-RX80 3LCD projector, offering an abundance of advanced features in a lightweight and compact chassis, at a highly affordable price point. The CP-RX80 3LCD projector offers a brightness of 2,200 ANSI lumens at a weight of only seven pounds. This XGA projector also features an easily accessible high-efficiency filter, as well as a lamp life of 6,000 hours in Eco Mode, making maintenance even easier. The CP-RX80 offers a variety of user-friendly functions, including Closed Captioning, Whiteboard/Blackboard modes, Template function, and instant on/off. The projector also includes proprietary Hitachi functions such as My Screen, My Memory, My Buttons, My Source, plus it offers a PIN lock security feature. “The CP-RX80 is ideal for users looking for a feature-packed projector at an entry-level and affordable price,” said John Glad, product manager, Hitachi Home Electronics (America), Inc., Business Group. In a unique installation that provides a comprehensive audio network, the Kosta Boda Hotel in Sweden has deployed a BSS Audio Soundweb London system for audio processing and distribution. Opened in June, the hotel is the first constructed entirely of glass and is located in the province of Småland, in the south of the country. The hotel also contains a spa, restaurants, a glass bar and a conference center. The system’s design was developed by Swedish Harman distributor Septon Electronics AB. Jan Hedlund, manager at Septon Electronics said he was delighted that they had been able to notch up the spec. “Originally the Hotel didn’t have a lot of idea about sourcing products — a hi-fi solution really wouldn’t have worked with an installation of this complexity,” stated Hedlund. So a year ago he visited the site and sold the concept of Soundweb to the owners. And in June this year the audio network was commissioned. In a fixed installation that provides a highly advanced and versatile sound reinforcement system, Swedish soccer stadium Idrottsparken has been retrofitted with a Harman system that includes components from BSS Audio, Crown, and JBL. Home to Sweden’s IFK Norrköping soccer club, the stadium was constructed in 1903 and underwent a major renovation beginning in 2007 that was just recently completed this year. The installation was completed by audio contractor Musikservice AB, with the system design developed by Swedish Harman distributor Septon Electronics AB. To handle the processing and distribution, a BSS Audio Soundweb London digital matrix was constructed, consisting of 56 inputs and 64 outputs. This took into consideration the fact that, with the stadium’s renovation, the west side had received a new extension with a VIP section, the east side had doubled in size and a roof had been added to the north side. A site-wide fiber optic transmission was proposed to cover the longer distances involved. While three I/O-configurable BLU-160 devices, a single BLU-320 and multiple BLU-120 devices three I/O-configurable BLU-160 devices, a BLU-320 and BLU-120 devices occupy the rack positions, a BLU-10 programmable remote situated in the commentator’s box offers local master control, and on match days overrides the source feeds to four simple BLU-8 zone controllers, strategically positioned in the bars and restaurants (while leaving the local volume control intact). At PLASA 2009, JBL Professional is introducing the MSC1 Monitor System Controller, a remarkable new product that integrates monitor system control and tune-ability at a most accessible price point. The MSC1 Monitor System Controller includes features found in large mixing consoles to control essential monitoring functions from the mix position. Since the acoustic issues in the room can compromise the quality of the mix, the MSC1 includes JBL's highly acclaimed RMC™ Room Mode Correction Technology that tunes the monitor system to over come low frequency problems in any room. The affordable MSC1 works with any speaker system, and is the perfect add-on to JBL’s new LSR2300 Series studio monitors. AKG showcases its industry leading versatility with the release of the C 414 XLS and the C 414 XL II, one of the most famous recording, live sound and broadcasting microphones since 1971. The legendary C 414 needs no introduction – it is a tool found in most recording studios and has been used on thousands of hit records; it’s been on stage with artists of every musical genre and is also used by leading broadcast facilities the world over. The new C 414 XLS and the C 414 XLII offer nine pickup patterns that enable it to choose the perfect setting for every application. For live-sound applications and fixed installations, all controls can be disabled easily for trouble-free use, and the peak hold LED displays even the shortest overload peaks. Both mics have three switchable bass cut filters as well as three pre-attenuation levels that allow lead vocals and solo instruments to be placed in even the densest mixes. The C 414 XLS maintains the sonic character of the legendary C 414 B-ULS, the longest-lived C 414 model. Engineered for the highest linearity and neutral sound, it is the most universal and versatile large diaphragm microphone released in decades. Widely used for accurate, beautifully detailed pickup of any acoustic instrument, the new C 414 XLS combines proven reference quality, leading-edge technology and state-of-the-art components. The C 414 XLII is the successor of the famous C 414 B-TL II. It shows the unique sonic signature of the highly sought-after AKG C 12, which enables lead vocals and solo instruments to be placed even in a dense mix. The unrivalled up-front sound is also well known for distant miking applications like classical music recording or drum ambience miking. The C 414 comes complete with everything you need to create great sound recordings, including: a carrying case, a pop filter, a windscreen, and spider-type shock mounts. In addition, AKG offers both the XLII and XLS in stereo sets. The stereo sets are created by AKG’s sophisticated matching method for stunning, three-dimensional recordings. In an introduction that takes the industry leading sound quality of the Perception series microphone one step further, AKG is releasing the new Perception Live series microphones at the PLASA show this September. The Perception mics are already one of the best studio mics worldwide, and with the release of the Perception Live series, AKG reaffirms itself as the leader in live performance miking applications. In an introduction that couples AKG’s studio mic performance with desktop convenience and versatility, AKG presents the Perception 120 USB Microphone at PLASA this September. The Perception 120 USB is the very first USB-equipped microphone from AKG, offering studio-quality sound performance without requiring any installation or drivers. The Perception 120 USB is a real plug-and-play device that allows users to do podcasts, voiceovers, and studio-quality rehearsal-recordings quickly and easily. It is capable of working with Windows XP, Windows Vista and Mac OS X but also the new Windows 7. And for the price, it is one of the only USB microphones with an integrated high-quality Analogue-to-Digital Converter (24-bit, 128x oversampling) for convincing sound quality and low noise. As of 2008, there are about two billion USB devices sold per year, and about six billion sold to date. The USB is a widely known interface for audio equipment like sound cards, active monitors, and outboard equipment, which makes the Perception 120 one of the most versatile microphones available. The Perception 120 includes a two-third-inch condenser capsule with a low-mass diaphragm delivering accurate sonic details an integrated pop filter that avoids plosives, a switchable bass cut filter, and an attenuation switch. The Perception comes complete with everything you need: a tripod table stand, a swivel mount and an USB cable. Today at PLASA, AKG announced the release of the DMM 4/2/2 automatic microphone mixer. The DMM 4/2/2 is a processor controlled digital automatic mixing algorithm with four balanced universal (microphone/line) inputs and two stereo AUX inputs providing a unique and very intelligent mixing algorithm with noise sensitive threshold. The DMM 4/2/2 mixing algorithm automatically allocates gain among the system microphones (NOM attenuation) with a special noise detect function and the “Noise Sensitive Threshold” algorithm (NST) that eliminates an accidental switching of the input channels. The mixing algorithm features a “Last Mic On” function as well as a “Best Mic On” mode and the revolutionary control concept allows users to access all microphone functions via a single rotary switch for a very intuitive operation. To compensate for level differences or any other obstacle, the DMM 4/2/2 incorporates a dbx compressor/limiter, which provides clear and pristine sound quality to an array of applications. Each channel has switchable gain (Mic/Line, Mic-Lo/Mic-Hi) and switchable phantom power and every input is equipped with an incremental level control, including LED level and peak hold display. The auto-mixing and ducking function can be enabled/disabled for each microphone and AUX channel individually providing an expansive amount of flexibility. The DMM 4/2/2 has an expansion connector to cascade multiple mixers in a bigger system and a control I/O is located on the rear panel, providing logic in and outputs to control external devices. The DMM 4/2/2 comes in a rugged 19” housing with an integrated power supply unit, one recording output via 2 chinch connectors and one master XLR output. The mixer can also be remotely controlled via logic in/outs with a Sub-D connector. Each input incorporates a volume control, high frequency shelving filter, a low frequency shelving filter and a switchable bass cut filter. The main output is equipped with an adjustable limiter as well as a master level control and all functions are controlled from the incremental controls on the front panel. The mixer also provides a software locking function to avoid unwanted operation. AKG is presenting the full modular, highly flexible CS5 Conference System at PLASA this September. The CS5 is the newest conference system from AKG and acts as a complete digital solution for any and all audio conference requirements. With the AKG CS5, users can easily design high-level conference systems complete with ID card identification. It has one, three, and five step voting, interpretations of up to 63 languages and infrared distribution of up to 7 languages. The necessary infrared components are built into the base unit, enabling direct connecting of the CS5 radiators CS5 IRT1 and 2. The CS5 BU even acts as an interface to all external devices, including: mixers, wireless microphones, recording devices, CD players and more. 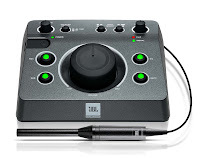 All of the components in the CS5 are based on an Ethernet connection, including the microphone stations and the interpreter unit, and the system works with 64 channels that can be split into simultaneously active microphones and translated languages. The central element in the CS 5 conferencing system is the CS 5 BU; only one unit that is required for all possible configurations and sizes. With the CS 5 BU unit, up to 5000 participant and interpreter units can work in one big system. AKG provides the CS5 with an all-inclusive principle. For each system AKG includes the CS5 PC control software free of charge, allowing to supervise/control even the most simple discussion systems. Based acoustically on the classic AKG Blue Line Series, the Architectural Microphone Series (AMS) is representing itself to be the latest must-have in microphones. With a new wave of customizable possibilities in microphones, the AMS guarantees that conference rooms will never be the same again. Premium studio microphones, like the AMS, are characterized by a very flat frequency response, low self-noise and a consistent polar pattern. Three precision transducers make up the series, all with different polar patterns, including a cardioid, an omni-directional and a hyper-cardioid. Adding on to the extraordinary attributes of the AMS, the mics are equipped with a bayonet coupling system with self-cleaning contacts. The Blue Line bayonet coupling system enables the capsules to be easily change. With the installation of any of the microphones in the AMS, different mounting modules are available, including a wide range of specialized mounting accessories specifically dedicated to making the installation easy and bringing the microphone into place. Blended rubber material and high mechanical damping in the shock mounts help to eliminate any mechanical vibrations. The VT4886 passive line array element and VT4883 cardioid-arrayable subwoofer are specifically designed for standalone use or integration with other existing VERTEC models. LONDON, England – Delivering a very high degree of output and predictable coverage capabilities in an extremely compact package, JBL Professional is introducing the smallest system enclosures in the VERTEC® product family, the VT4886 passive 3-way high-directivity line array element and its companion VT4883 cardioid-arrayable subwoofer. Incorporating innovative acoustical technologies and purpose-built transducers, they are specifically designed for standalone use or in conjunction with other existing VERTEC models. The VT4886 incorporates some of the latest electro-acoustical technologies developed by JBL Professional. Unique to the subcompact line array category, the VT4886 features 8 transducers with 10 separate voice coils. The VT4883 has a frequency range of 35 Hz – 600 Hz (-10 dB) and a maximum SPL capability of 133 dB continuous, 139 dB peak (half space). Dimensions measure 577 mm x 397 mm x 641 mm (22.72" x 15.62" x 25.24"). The enclosure weighs 30.8 kg (68 lb). Providing remarkable versatility for a broad scope of applications, JBL Professional is showcasing the Control® CRV loudspeaker at PLASA 2009. The Control CRV offers numerous mounting options and a wide range of configurations, providing an endless variety of solutions in terms of coverage, appearance and mounting. Immediately noticeable is the Control CRV’s unique, contemporary, quarter-round design that makes a modern design statement, adding to any venue’s visual aesthetics in either a wall-mounted or corner-mounted configuration. In addition, this sleek appearance serves a notable functional purpose, as the Control CRV is combinable into half-round, three-quarter-round or a full, 360-degree round arc cluster that is suspendable from the ceiling via a fan pole assembly. A single Control CRV mounted at a wall-wall or wall-ceiling junction physically curves across the junction, acoustically coupling with the adjacent surfaces, widening the sound field, and producing an increased sense of sonic spaciousness. The 75 Watts continuous pink noise power handling (300 Watts peak) and dual 4-inch Polyplas™ woofers provide superb sound quality, offering a frequency range of 80 Hz-20 kHz. Constant Beamwidth Technology™ CBT Series resets the standards for directivity and versatility in passive column loudspeakers. LONDON, England – At PLASA 2009, JBL Professional’s CBT Series passive line array columns are making their European debut, offering unprecedented levels of directivity control, sonic fidelity and affordability. The CBT Series features JBL’s patent-pending Constant Beamwidth Technology™ circuitry, a breakthrough in pattern control that provides remarkably consistent constant directivity coverage and superb audio clarity, even in difficult acoustical environments. After years of research by JBL engineers, the CBT Series, with Constant Beamwidth Technology, represents a new benchmark in performance and versatility for passive column loudspeakers, providing not only constant directivity, but also adjustable coverage control, full-fidelity sound quality, and one model that provides a very versatile asymmetrical pattern for more consistent front-to-back sound levels within the room while reducing reflections from the back wall. 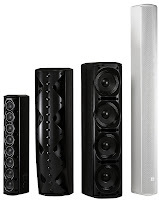 These features, along with high output levels, make the CBT Series a great choice not only for traditional column applications, but also for projects where larger point-and-shoot speakers would normally be utilized, or where more expensive digitally steered columns might otherwise have been required. The coverage pattern of the CBT models can be adjusted—with a simple switch—between Broad Mode (designed for mid-throw situations) and Narrow Mode (for long-throw applications). This versatility allows the CBT’s to meet the requirements of a broad range of applications. In addition, the CBT speakers provide Dynamic SonicGuard overload protection circuitry, which reduces distortion at high drive levels, along with user variable voicing which allows for selecting a flat frequency response or a midrange presence peak for especially clear speech intelligibility. The CBT 50LA is a very compact 50 cm high column that utilizes a straight line of eight 2-inch drivers, while the taller CBT 100 LA is a straight 100 cm high column utilizing 16 2” drivers and handles 325 Watts continuous pink noise for high output levels. Combined with Constant Beamwidth Technology circuitry, both provide constant directivity coverage. Both also contain low-saturation transformers, so they can be used on 70V/100V distributed speaker lines or as low impedance speakers. The J-shaped CBT 70J is a 2-way coaxial line array utilizing 16 soft dome tweeters and four high power 5-inch woofers at a 70 cm height. The J-shape of the array works in conjunction with the Constant Beamwidth Technology circuitry to provide asymmetrical coverage similar to that of expensive line arrays commonly used in concert systems. The column’s top half projects highly concentrated sound toward the back of the venue, while the bottom half down-fills a broader, less concentrated sound to the front of the venue, resulting in more consistent sound levels from front to back. This 500W system contains a pattern control switch for either 45 or 25 degrees vertical coverage. The CBT 70JE is an extension cabinet for the 70J, further extending the pattern control of the CBT 70J by doubling its height, which lowers the frequency to which the speaker holds a consistent pattern of coverage, and doubling the power handling. The 70JE also increases the bass capability and extends the low-frequency response of the system to 1000 Watts continuous pink noise. The selectable vertical coverage, music/speech settings, the option to add an extension for bass and pattern control, asymmetrical vertical coverage, high output, and wide bandwidth makes the CBT70J an extremely versatile loudspeaker that fits into a wide variety of applications. Despite the advanced features and performance built into the CBT Series, they are extremely easy to use, encompassing a new level of user-friendliness that makes them very straightforward to design into everyday projects. The CBT models can be installed either indoors or outdoors and the thin and sleek design is so unobtrusive that they almost vanish into the décor. The wide variety of applications for the CBT Series include performance spaces, transit centers, lecture halls, multi-purpose rooms, board/meeting rooms, retail stores, courtrooms, theme parks, houses of worship, fellowship halls, movie theater lobbies, cinema surround, audio supporting video, race tracks, and many others. Two new horn designs, 60° x 60° and 120° x 60°, raise the total count of models in the AE Series to 50. LONDON, England – Providing unprecedented versatility for sound integrators, JBL Professional is adding nine 2-way full-range loudspeaker models to its revolutionary AE (Application Engineered) Series: the AM5212/64, AM5212/66, AM5212/95, AN5212/00, AM5212/26, AM5215/64, AM5215/66, AM5215/95 and AM5215/26. The nine new models, including two new horn coverage patterns, bring the total model count in the AE Series to 50. All AE Series loudspeakers are designed specifically for fixed installation sound reinforcement applications. These nine new medium-power, lightweight models include five 12-inch, 2-way full-range systems and four 15-inch, 2-way full-range systems. All nine models utilize JBL’s patented Differential Drive® dual voice coil and dual gap, neodymium magnet, low-frequency drivers and the 2408H-1 high-frequency 38mm (1.5 in) exit, 38mm (1.5 in) voice-coil compression driver. The large-format Progressive Transition™ waveguides provide excellent coverage control and are rotatable, so the loudspeaker system can be used in either a vertical or horizontal orientation. All nine models utilize a sophisticated high-slope passive crossover network designed to provide seamless transitions from low to high frequency and minimize band overlap. Well-controlled off-axis response enhances arrayability. Each model is shipped in its passive configuration and is user-configurable for bi-amplification. The enclosures are constructed of multiply birch and are finished in JBL’s rugged DuraFlex™ coating. Each trapezoid enclosure is heavily braced to maximize low-frequency performance, is fitted with 15 M10 threaded attachment points, and utilizes a 14-gauge steel grille internally lined with acoustically transparent foam to provide additional driver protection and give a very professional appearance. Input cups are fitted with screw terminals and a Neutrik® NL4 connector. As with previous AE Series models, the nine new models are ideal for applications including theatrical sound design, auditoriums, worship facilities, live clubs, dance clubs, sports facilities, and themed entertainment venues. With the Soundcraft Vi Series winning new friends daily, it’s not surprising that Soundcraft continues to develop this outstanding digital console with new features and facilities. The main feature introduced in V4.0 is user-configurable fader layers. This allows an engineer to map out his own channels on any of 3 user layers so that a combination of different inputs can be placed on one layer, as opposed to the standard set of sequential channels on the 3 fixed layers. This allows, for example, the main vocalist mics to be programmed to appear in the same location on every layer, so they are always accessible, or bringing other essential channels closer to a central operating position. The 5 main output fader layers may also be customised in a similar way, meaning, for example, that 8 stereo aux masters can be used on one layer for instant access to multiple in-ear sends, or VCA masters assigned alongside aux masters. Further extending the layout control is the ability to assign output busses to the channel faders for immediate control, making access to the bus masters much faster. By touching any of the output meter windows on the master section Vistonics screen, the corresponding output channel strips are assigned to the right hand 8 channel faders, leaving the left hand side of the surface still handling input channels. This functionality adds to the much-loved ability to assign blocks of 8 input channels to the right-hand bay by touching the meter displays, which has been a feature of the Vi software from the start. This software update also brings a number of new tools to the Vi worksurface which will find great favour with Theatre sound engineers. For example, snapshot recalls can now use crossfades to smoothly transition from one setting to the next - indispensable in theatre. A new snapshot preview mode allows the engineer to check in advance what settings are about to be recalled, and also allows editing of other cues without affecting the audio. The Vi Series already has 30-band BSS Audio graphic equalisers available on all outputs. A new function allows all 30 bands to be ‘condensed’ onto 8 faders, to save operating space and allow access to input channels while working on output EQ. The original ‘full width’ GEQ mode is still available if required. The cut or boost values of the GEQ bands are also now displayed above each fader as they are adjusted. A number of ‘under-the-hood’ optimisations have also been made to the software which speed up the operation of layer changing and other functions. Registered Vi Series owners will be automatically notified of the software availability. 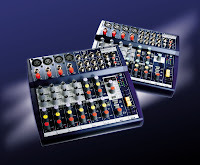 Today at PLASA 2009, a third member joins the very successful Si Series family—the even more compact Soundcraft Si1 digital live sound console. Like the Si3 and Si2, the Si1 uses a combination of rotary encoders and OLED screens on every channel so the engineer mixes at source, without recourse to a central screen, an interface welcomed by many engineers since the Si3’s launch last year. Using the center section and channel encoders, it is possible to simultaneously monitor and control input EQ, input dynamics and output EQ. Four assignable on-board lexicon effect engines supplement four stereo inputs to provide a really powerful mix package in a width of 1.2m for a UK list price of under £14,000. Soundcraft’s offline editor program, Virtual Si, can also be used to setup and manage complete shows offline, for later download to an Si1 console through a USB memory key. dbx® Professional Products, a Salt Lake City-based manufacturer of professional signal processing products and a division of the Harman International Company (NYSE-HAR), is introducing the new SC 64 (System Core) and SC 32 Digital Matrix Processors. These flagship processors feature intuitive Wizard-driven system configuration using Harman HiQnet™ System Architect, for unprecedented DSP power and routing flexibility, making it the ideal foundation for even the most demanding systems. dbx Professional Products, a Harman International Company (NYSE-HAR), today introduced four new members to its acclaimed ZonePRO™ family of digital zone processors. The new 1260m, 1261m, 640m and 641m join the 1260, 1261, 640 and 641 in the series, reflecting dbx Professional Product’s commitment to applying customer feedback to strengthen its existing product lines. Processing offered on all eight members of the ZonePRO family includes Advanced Feedback Suppression (AFS™) and AutoWarmth®, a psychoacoustic function that maintains full frequency bandwidth even when the signal level has dropped. The DSi 6000 features automatic presets for JBL cinema speaker systems for quick and easy setup. An intuitive front panel LCD panel guides installers through the process of choosing loudspeaker signal processing presets and other system parameters. All DSi series amplifiers can be configured through the Harman HiQnet™ System Architect™platform. “When increased power is required, the new Crown DSi 6000 cinema amplifier provides the power of 2100 Watts at 4 ohms and is a significant addition to the DSi line of cinema amplifiers that are the perfect match for JBL cinema systems,” stated Chuck Goodsell, Director of Cinema Marketing for JBL Professional. “The DSI 6000 represents our commitment to provide the end users in this market with a continuously expanding variety of options to meet the needs any environment. The collaboration with JBL in the development of the new DSI 6000 is an example of the ability of Harman brands to share product development expertise,” stated Andy Flint, Marketing Manager, for Crown. “The CDi 6000 provides an unmatched combination of processing, power and a competitive price that makes it the clear leader in its class. The new CDi 6000 is a reflection of our commitment to providing integrators with the greatest range of options for power and scalability for the challenges that each individual installation presents,” stated Brian Divine, director of marketing for touring and installed sound for Crown. The CDi 6000, like the other amplifiers in the series, has the ability to run both low-impedance two-, four- and eight-ohm loads as well as 70- and 140-volt outputs. The amp also features 20 available presets that can be recalled at the touch of a button. All CDi amplifiers can be controlled and configured through Harman HiQnet™ System Architect™. Equipped with Crown’s extremely light and efficient universal switch-mode power supply, each of the four CDi models weigh only 19 pounds and can be conveniently and reliably run off of a standard 15-amp outlet. Having used several generations of Crown products over a number of years, German sound company Sirius Showequipment AG has upgraded its fleet of Crown amplifiers with 16 of the new I-Tech 12000 HD’s to drive the company’s monitor system. Wolfgang Neumann, CEO of the Niederdorfelden-based company, explained that the I-Tech HDs were deployed for the five-month “Machmalauter” tour by Die Toten Hosen, where monitor engineer Dirk Happel has four drive racks supporting the system. The new HD series raises the bar for tour sound amplification. At its core, I-Tech HD features a new user-inspired DSP engine co-developed with BSS and Linear Phase FIR filters that offer unrivalled performance. Together with Crown’s Class-I amplifier technology; new software that makes I-Tech HD robust and very easy to configure; a choice of input options including CobraNet and the new LevelMax™ limiters (Peak, Thermal and RMS), I-Tech HD is a stunning product of engineering R&D — all pressed into a lightweight (28lbs) package. Holger Shader, Sirius Showequipment’s Technical Director/Senior Engineer, confirmed that despite his company’s long association with Crown, his team first evaluated the new Crown series against a four-channel amplifier from another industry leader. “But in terms of power and sound quality, nothing came close to the I-Techs,” he said. “We tested them on a couple of wedge monitors but then with Die Toten Hosen tour coming up, we decided to buy them,” added Shader. The consistent 2U footprint has enabled a direct swap-out of Sirius Showequipment’s previous I-Tech 4000’s in the existing monitor racks. The new I-Tech HD series features next generation BSS OmniDriveHD DSP engine technology, built on a new architecture specifically optimized for fast and efficient audio processing. The new FIR filter technology provides significantly improved midrange clarity and dramatically improved off-axis response. The OmniDrive HD reduces latency, safeguards sonic integrity and advances system reliability, with 24- bit, 192 kHz A/D and D/A converters. Harman HiQnet™ System Architect ™ mirrors the typical browser navigation interface to provide tour sound and contracting professionals with a familiar interface to access a host of power configuration and control functions. Sirius has a long association with Crown technology extending back more than a decade. In addition to the I-Tech 4000s, it has formerly used Macro-Tech MA-5002VZ and MA5000VZ amplification. But with the new generation I-Tech HD Sirius Showequipment is future-proofing its inventory. After the current tour the amp racks will embark on another exhausting tour of duty with the band Pur — a band serviced by Sirius for 15 years, back in the days when Holger Schader was the bands FOH sound engineer!